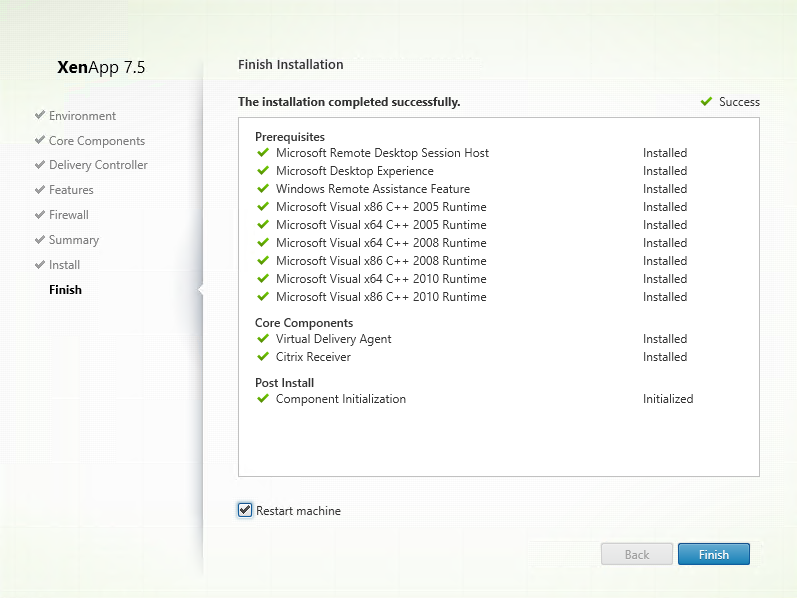 The installation of XenApp 7.5 and the XenDesktop 7.5 are almost the same. 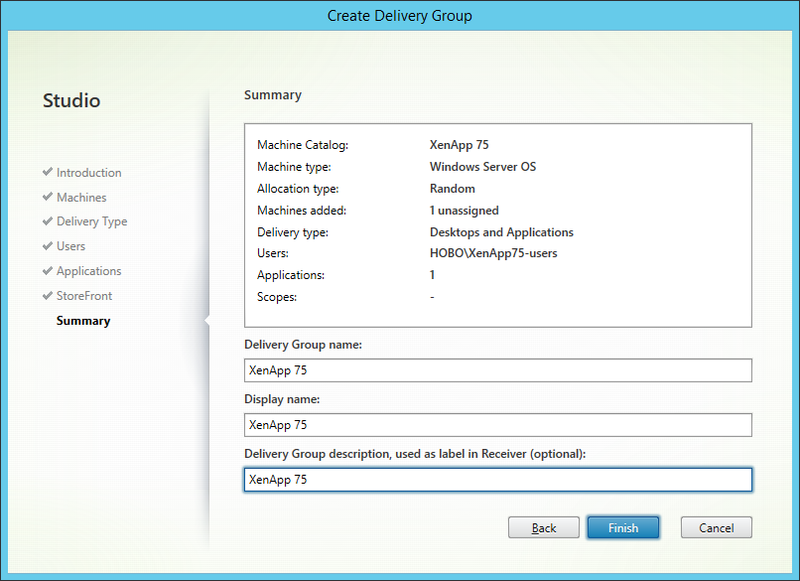 In this blog I show you the step-by-step instructions how to install XenApp 7.5, including the Delivery Controller, the Virtual Delivery Agent on a Windows 2012 R2 system, creating a Site, a Machine Catalog and the Delivery group to publish a shared Desktop and Applications. 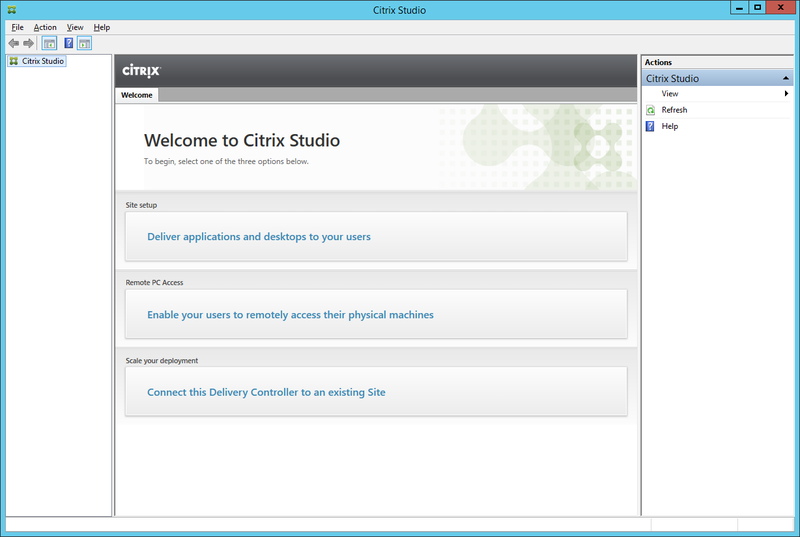 I will use my current Citrix License Server, Citrix StoreFront Server and my Microsoft SQL Server within my environment. 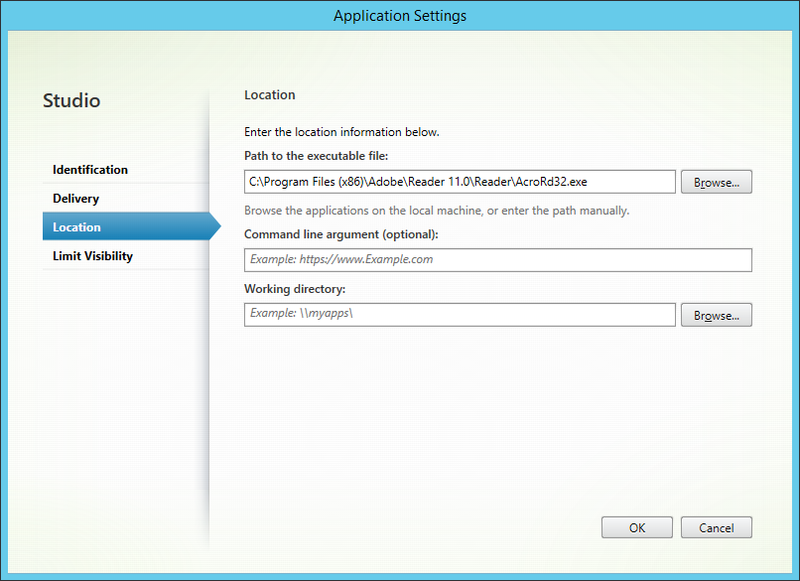 I have Microsoft SQL Server 2012 already up and running in my environment so I select only Windows Remote Assistance. Click Next. 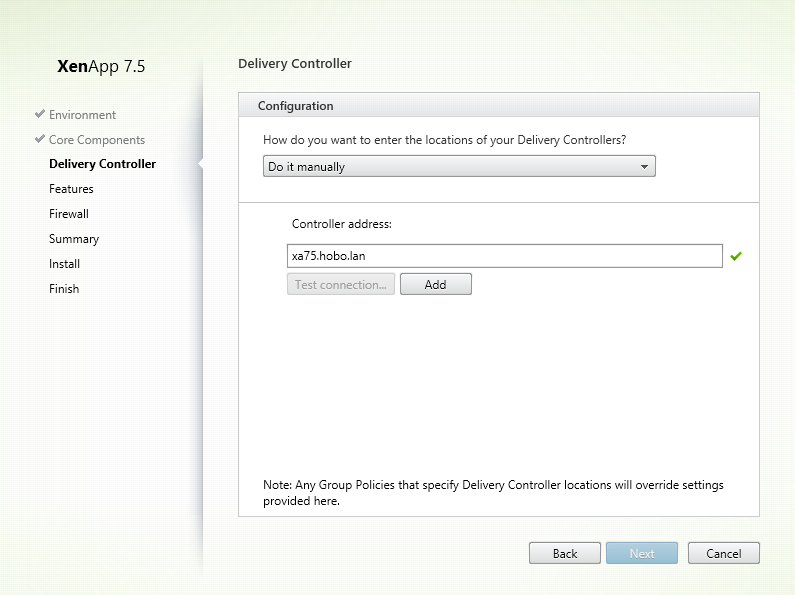 Before we continue with the configuration of the delivery controller, lets first install the VDA Agent on a separate Windows 2012 R2 server so that we can use it later to add it to the delivery group. 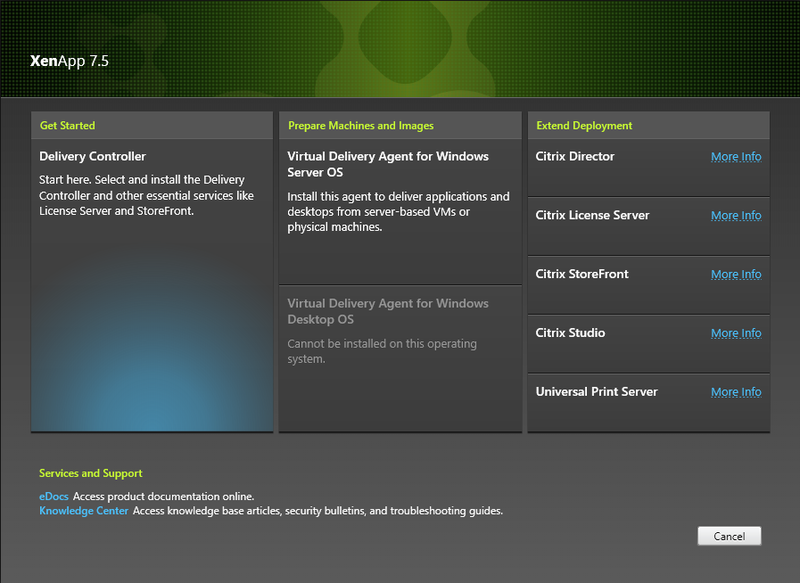 The Windows features like Microsoft Remote Desktop Session Host and the Microsoft Desktop Experience are now installing. 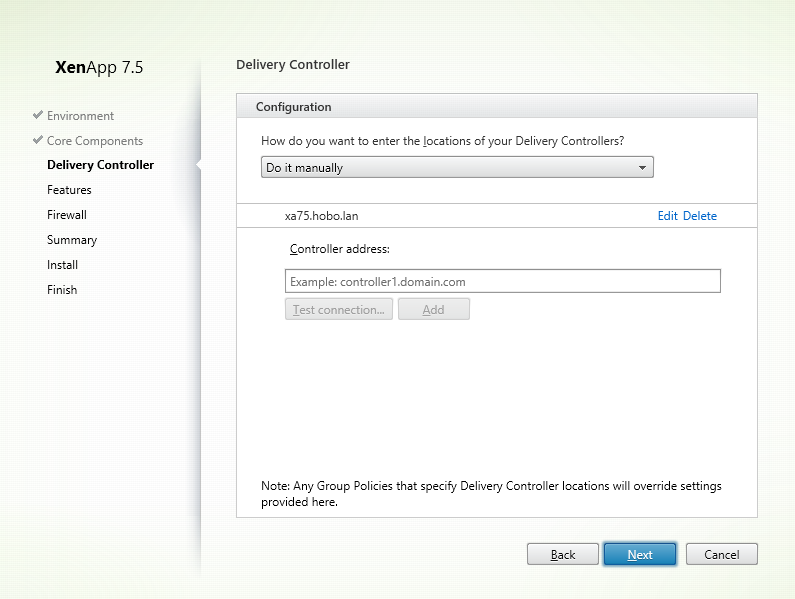 You are now ready to add the XenApp 7.5 delivery controller to your Citrix StoreFront store. 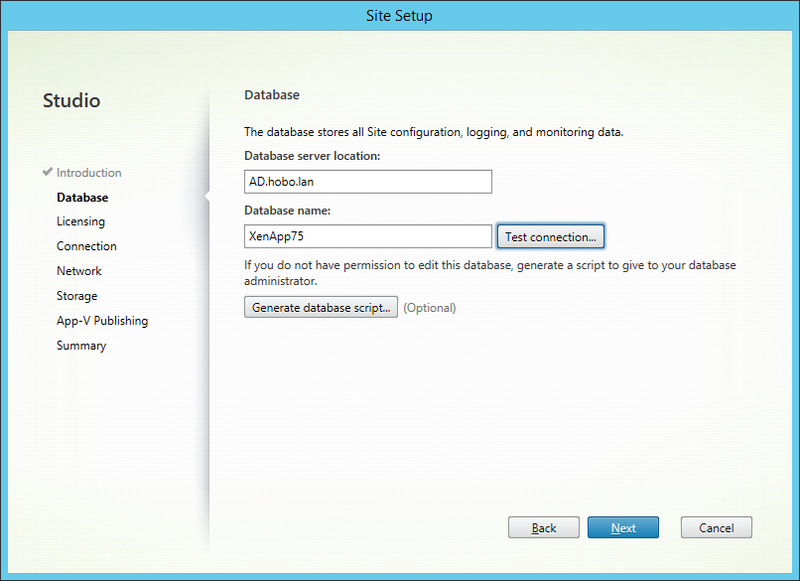 Logon to StoreFront to see the published desktop and application(s). 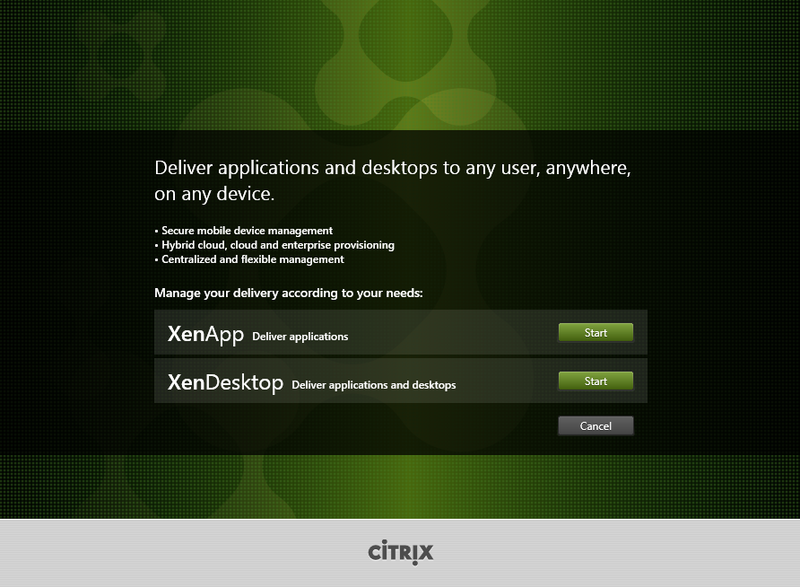 The Shared Desktop from XenApp 7.5. 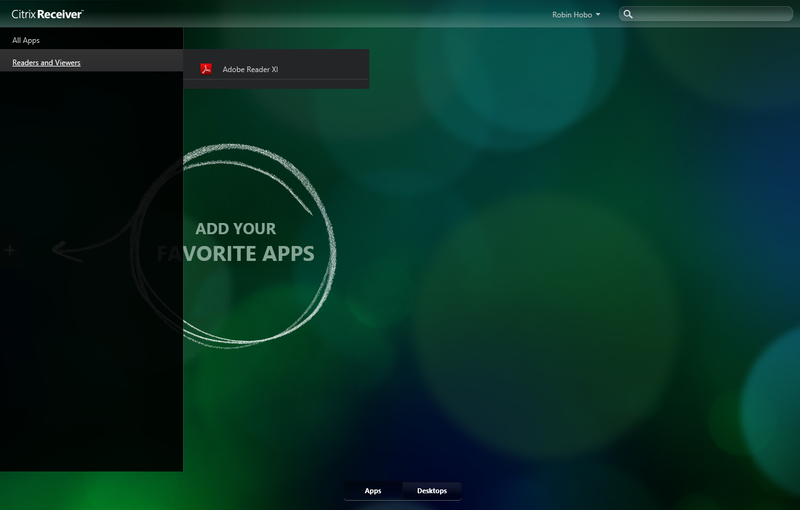 The published app Adobe Reader XI within the Readers and Viewers catacory. It was pretty awesome information.. I will try today in my lab. 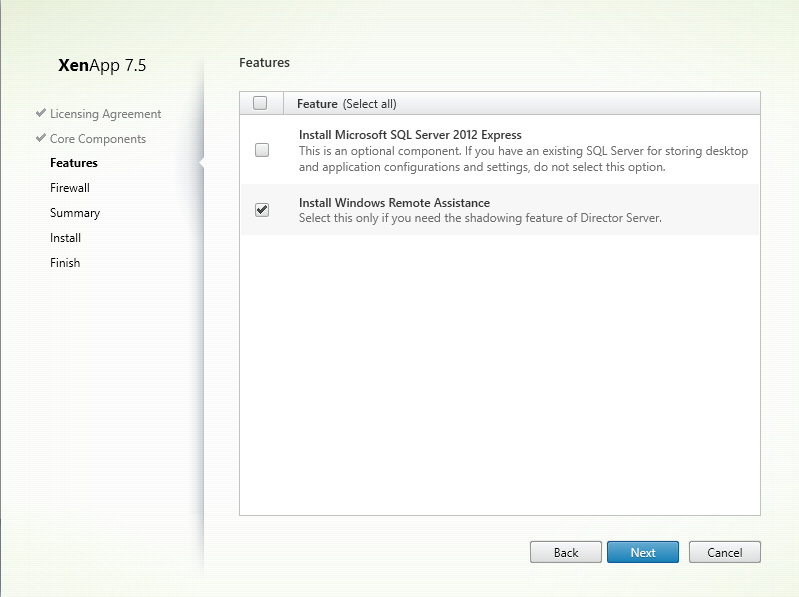 So basically its XenDesktop 7.5 with XenApp name slapped on it. 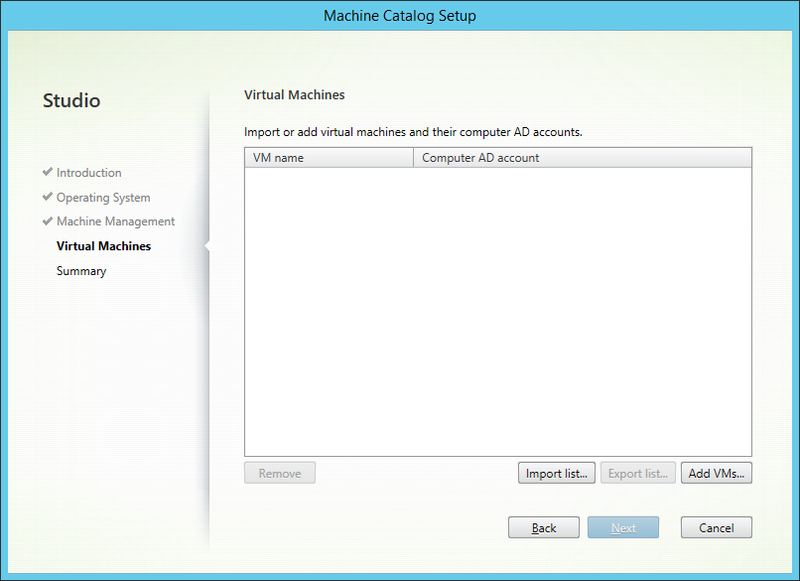 It’s same with XenDesktop. 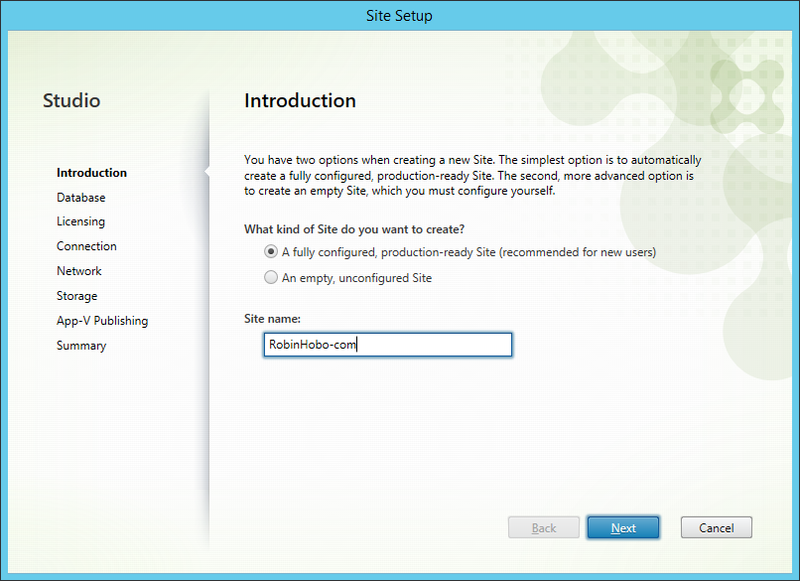 I understood that it can support with Web Interface 5.4. 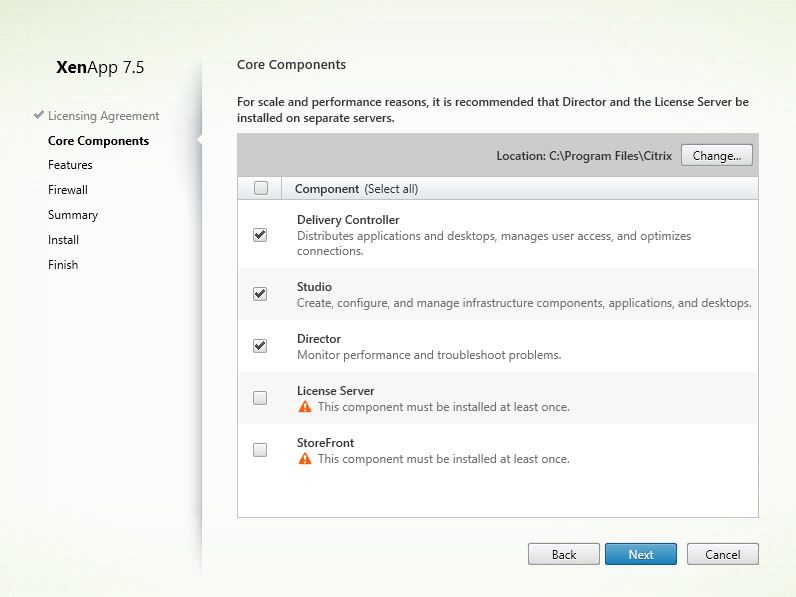 In case if you do not want to install Storefront. 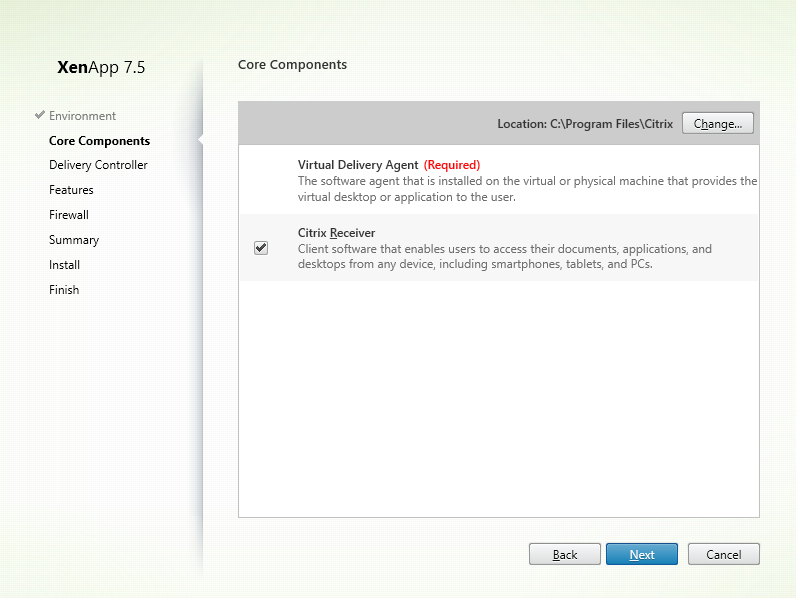 Correct me if I am wrong, but being a XenApp 6 user, MCS and PVS were not part of the XenApp product family in the past? 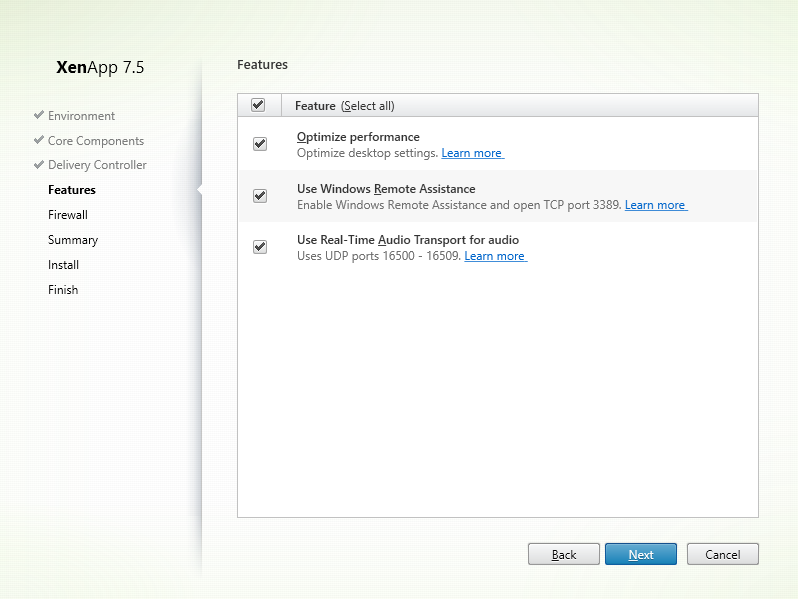 I am still somewhat confused about why I need those in XenApp 7.5. Is it a method to create more servers from which I publish apps when the load gets too high for one server? 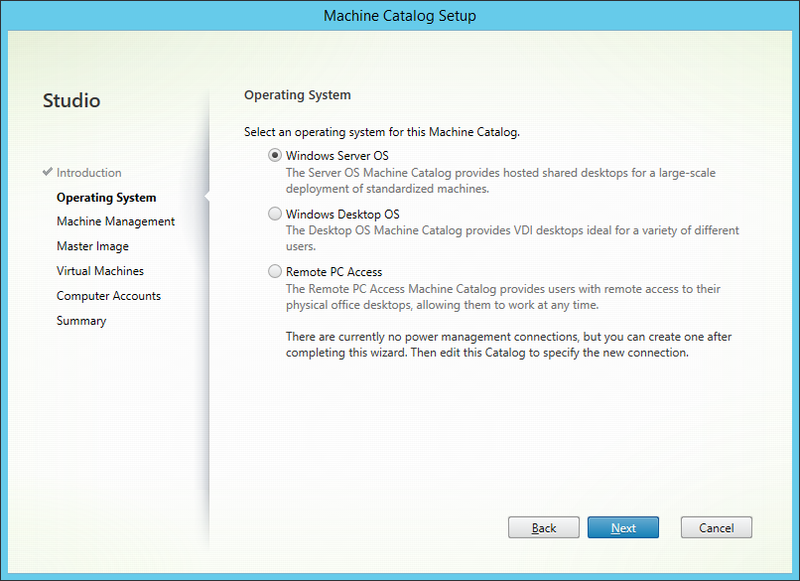 Or a way to provide desktops in XenApp? 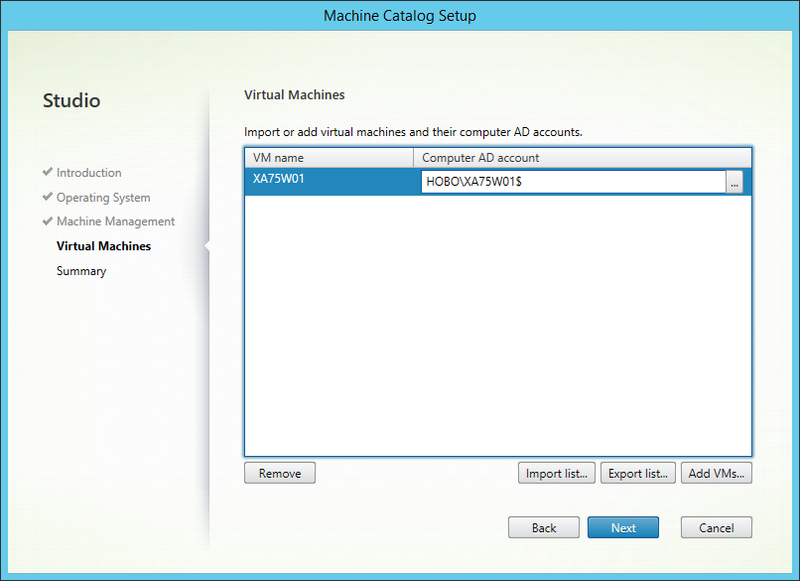 If I use VMware ESXi as a hypervisor, can I still use MCS/PVS? 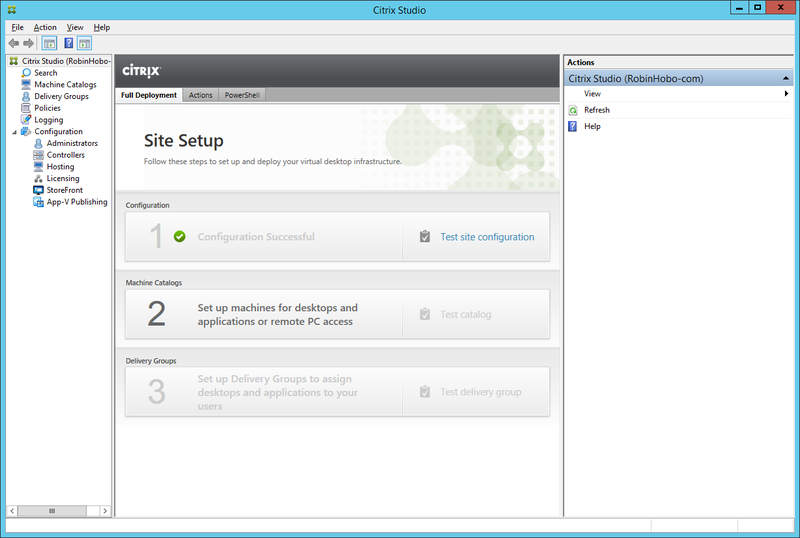 I really hope Citrix includes some basics about MCS and PVS to their XenApp-training. 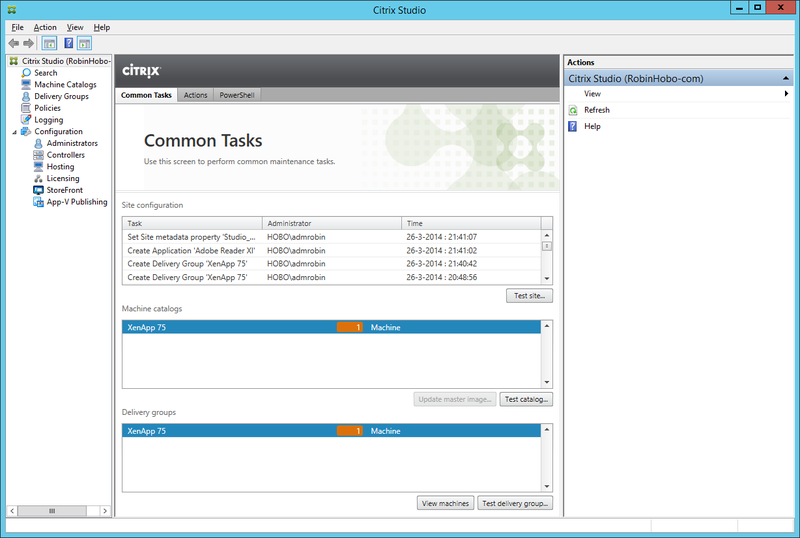 MCS is part of XenDeskop 5 and higher, PVS has always been a separate Citrix product. 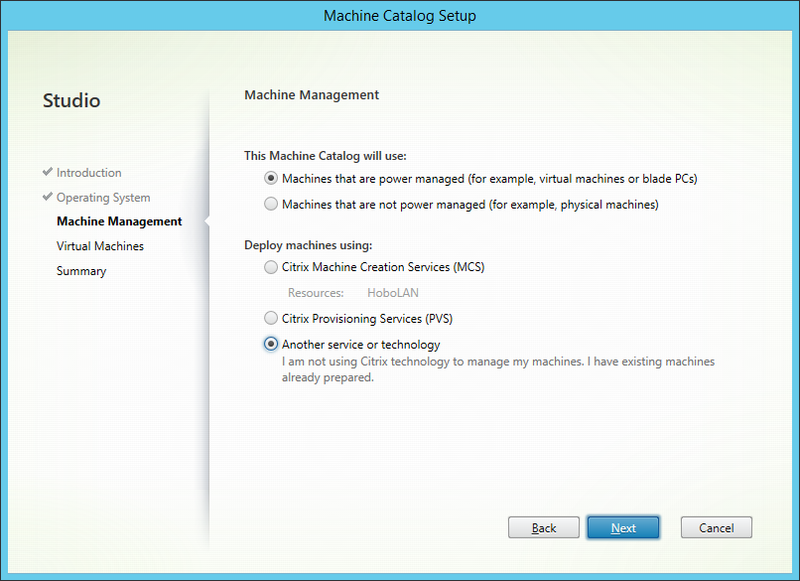 In a nutshell; With MCS you can duplicate a master disk (machine) many times (snapshoting), with PVS you built a master vDisk and let one or more servers boot from it so they are all equal. Thanks for sharing. 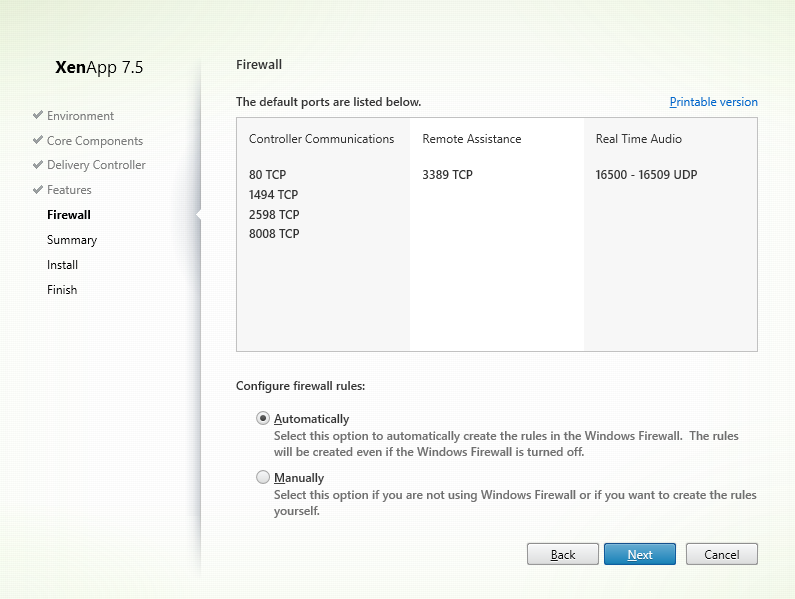 It’s good to see the “other” version instead of PVS or MCS. 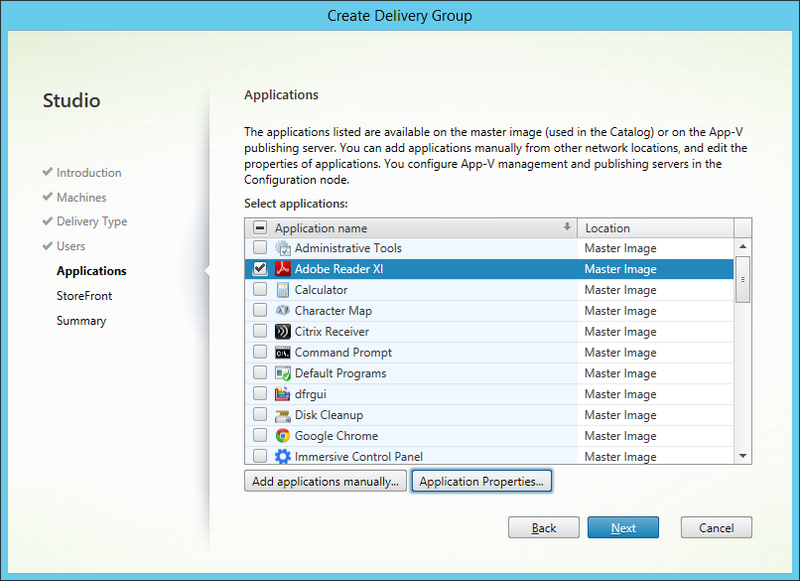 Question though: Since XenApp 7.5 requires RDS licensing on the Microsoft realm, how did you configure your RDS licensing to point to another server without installing a broker? 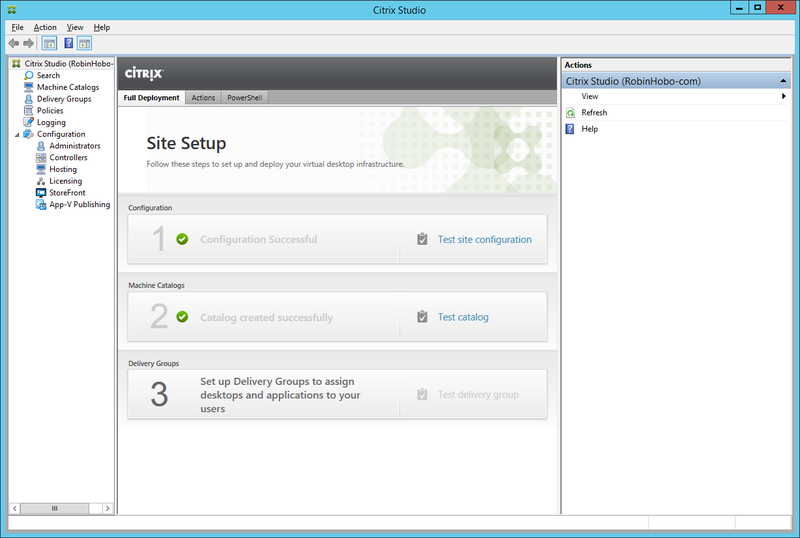 In my environment I had already installed a RDS license server and configured the XenApp 7.5 servers with a policy pointing to the RDS License server. 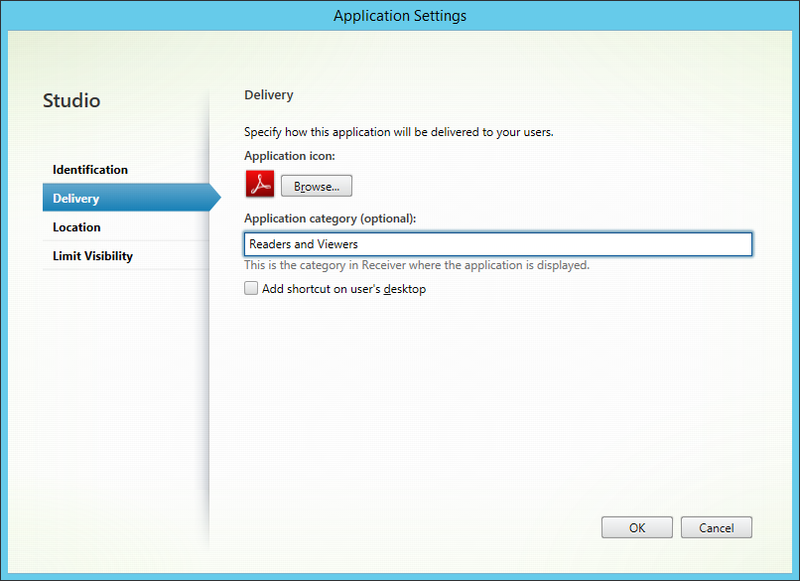 if we want to publish only app (OpenOffice) can we do without desktop published? 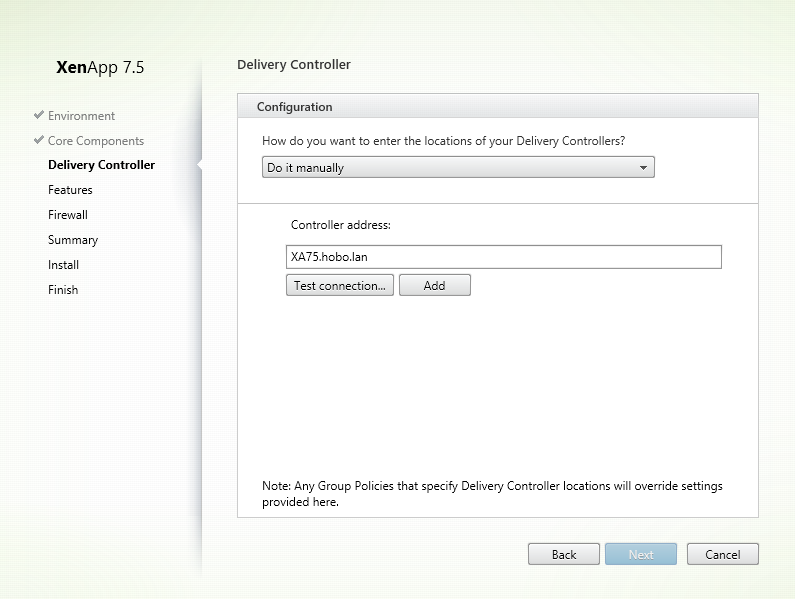 How does one publish apps to a specific server(s) in a delivery group of say, 6 servers. 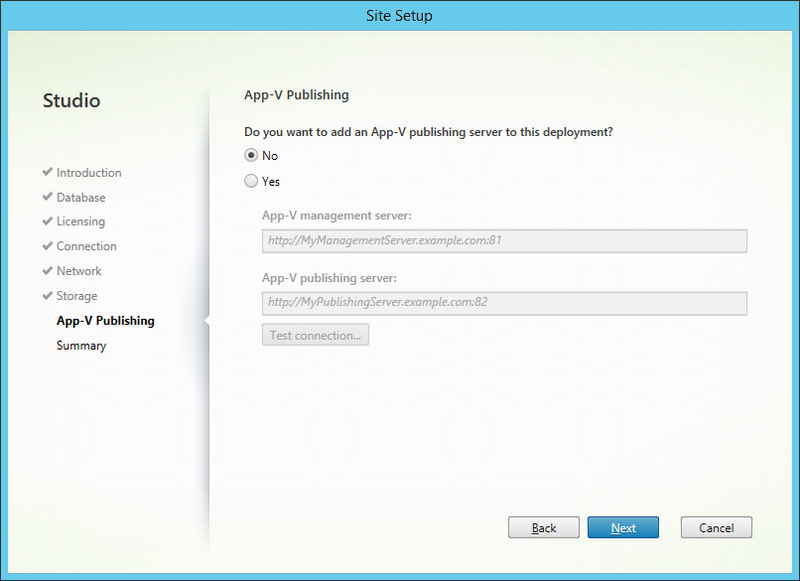 In the outdated Presentation Server 4.5 you could assign an app to a server or server to app (whichever). Is this no longer possible in 7.x. If so, how does one accomplish this? 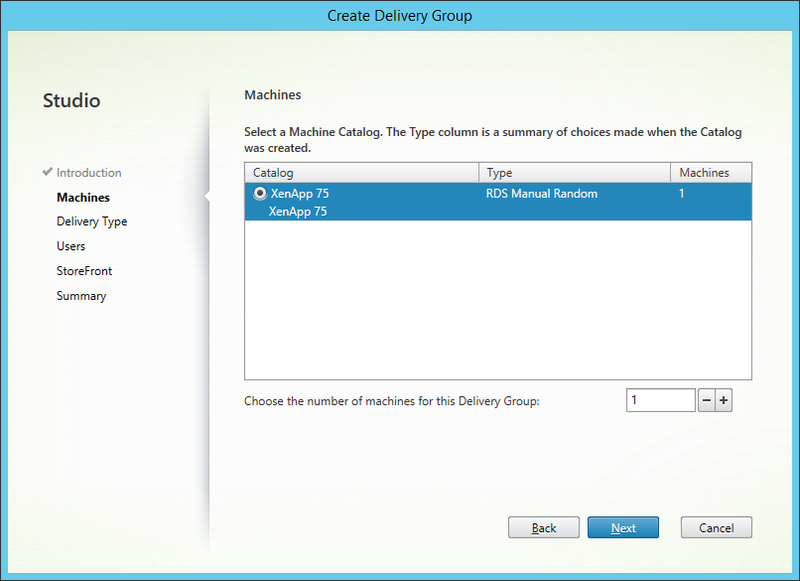 You have to create a separate delivery group for that. I don’t think a delivery group is needed for that. 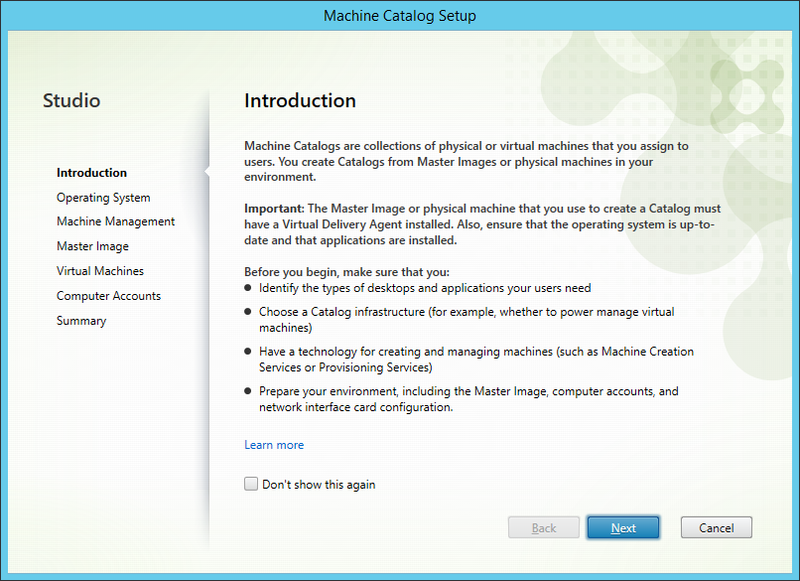 For the functionality that Mike is talking about from the post on April 16th, you would need a new machine catalog. Thanks for the guide! 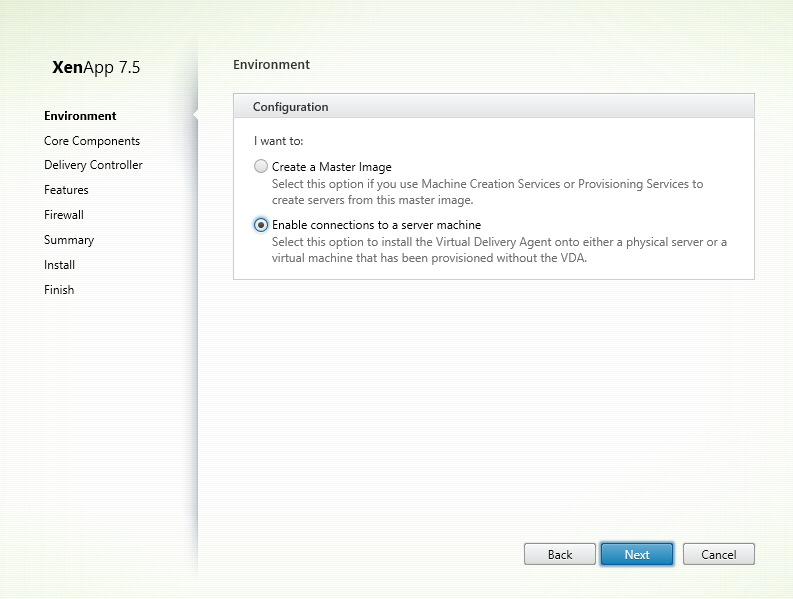 I installed XA 7.5 in my lab today. 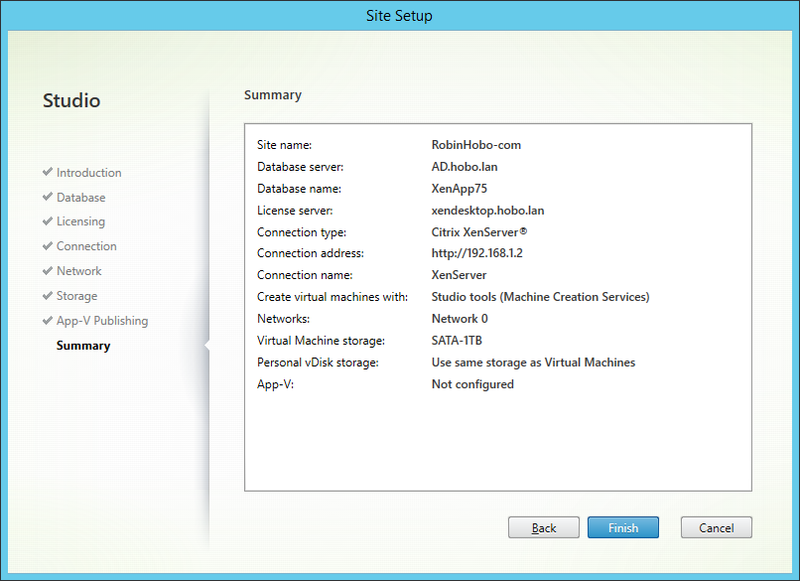 My production farm is XA 5 on Server 2003 and 2008. I started an XA 6.5 lab which never made it to production due to other projects taking priority. After reading your guide, I decided to bypass 6.5 and go straight to 7.5. 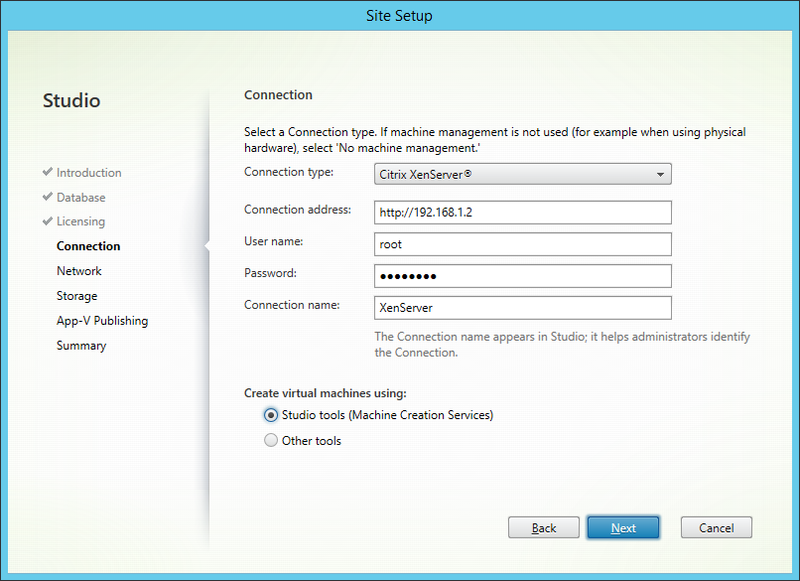 Unfortunately 7.5 won’t make it to production on my network until Citrix releases the Citrix Connector for SCCM 2012R2. 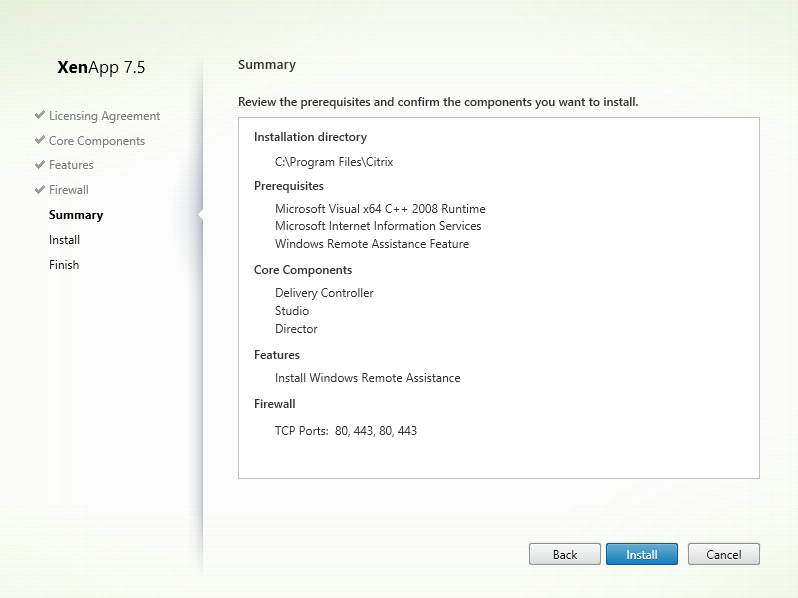 My plans depend on App-V for a few of my applications and I don’t have a full fledged App-V environment, only SCCM. 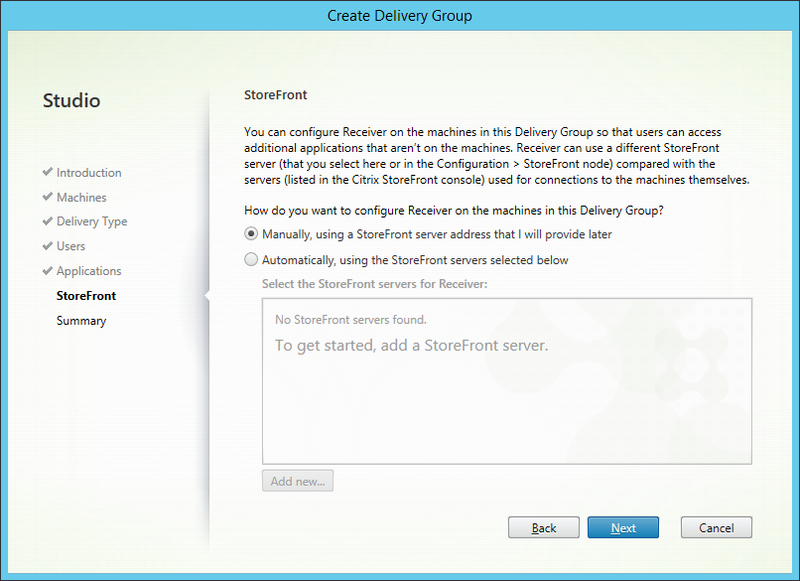 Is there any other way to be able to point the XenApp Servers to RDS License Server without through GPO, i.e through Registry. 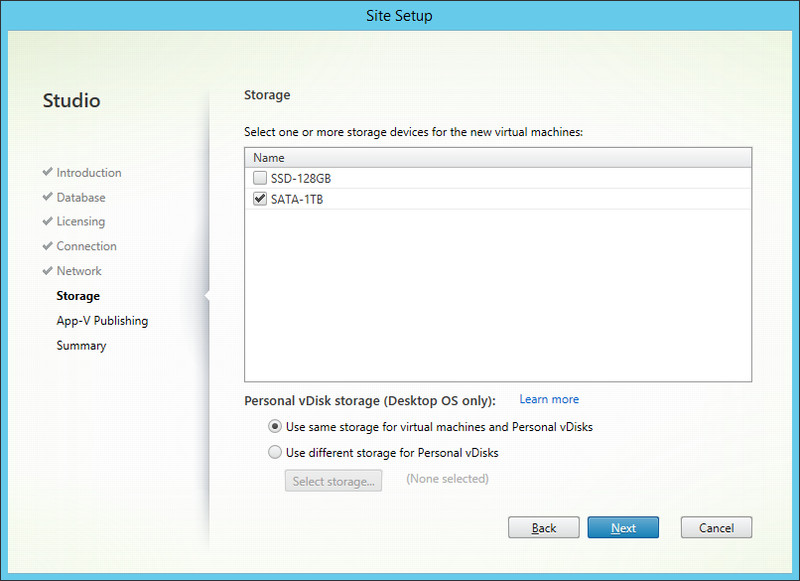 I have all my Windows Server in the same OU and do not want to create an OU just for 2-3 XenApp Servers. Yes you can, you can configure it manually on each server. Excellent and best guide on XA7.5. This really help me a lot, you saved my day. Thank you so much. 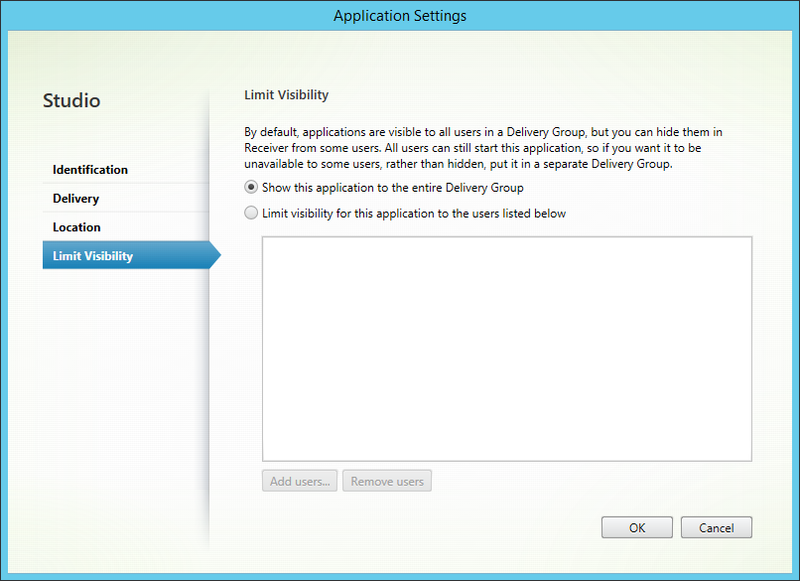 If I have valid Subscription Advantage then can I go to XenApp 7.5 from XenApp 6.5 now ? Excelent Post Robin! Very nice work. Thank you! 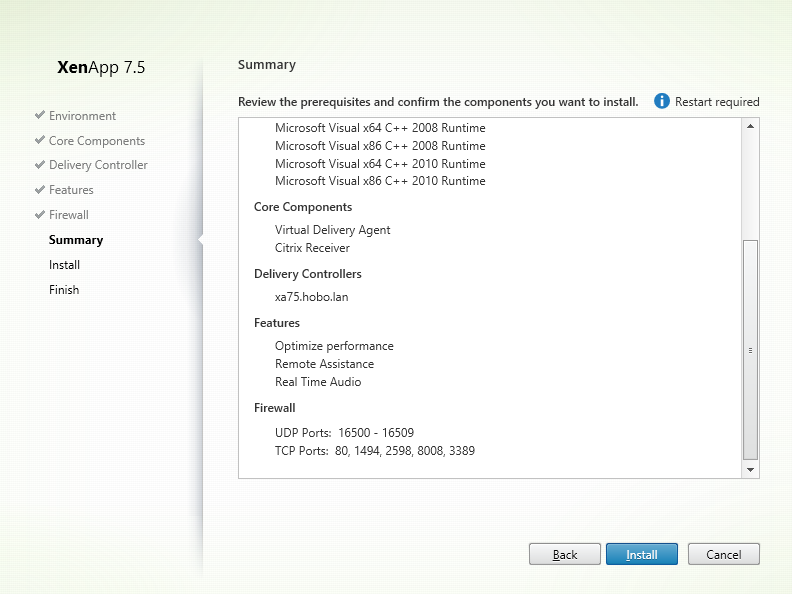 Is their a way to upgrade from Xenapp 6.5 to Xenapp 7.5? 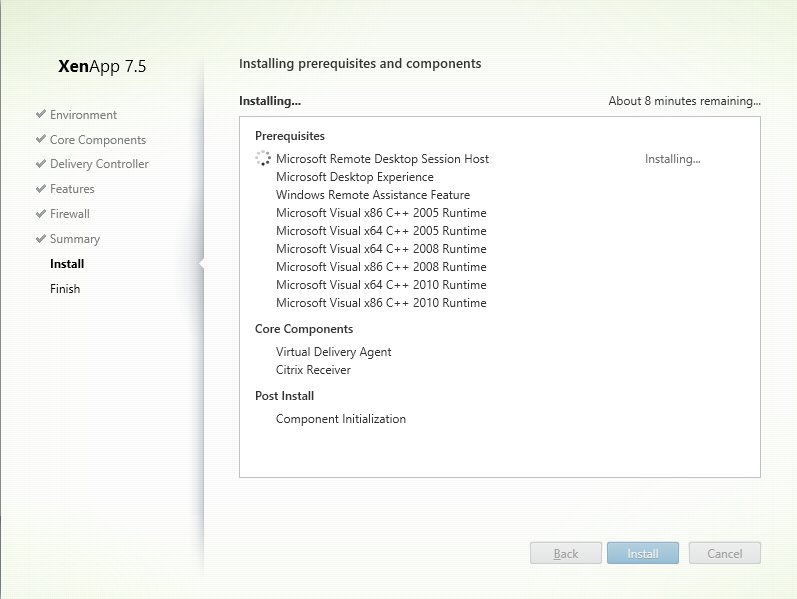 or we should do a new installation of Xenapp 7.5? 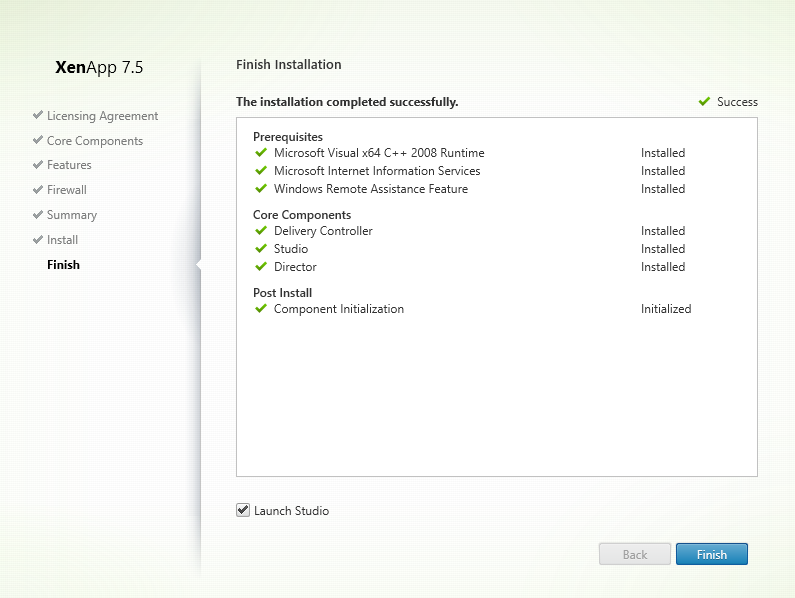 There is no upgrade path, you must start with a fresh new installation. 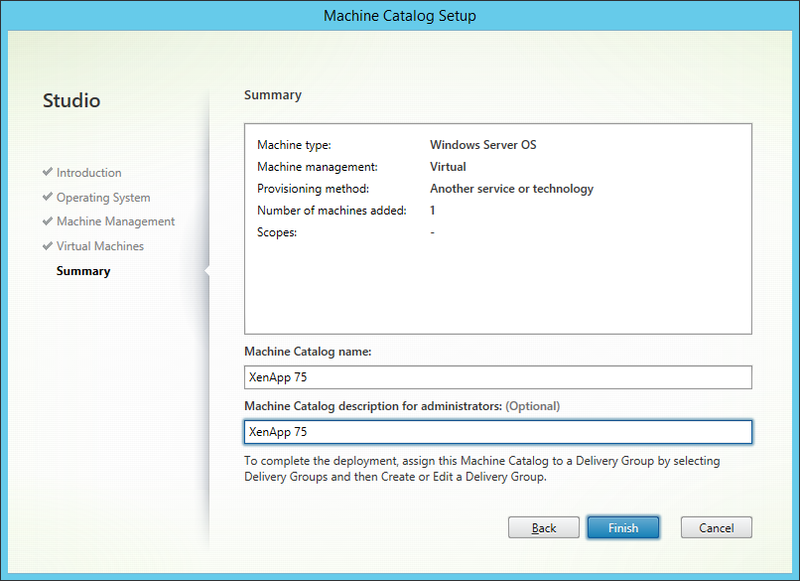 Michael there will come a XenApp Upgrade and Migration Tool. Should be out in a few weeks. 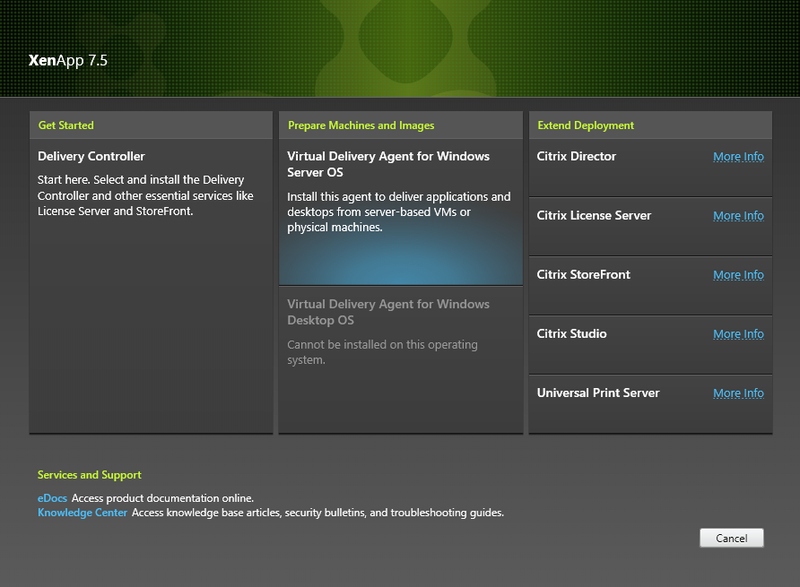 here you go: http://www.citrix.com/migrate and you should receive some powershell scripts for exporting your existing policies and published apps /desktops (there should arrive also your administration settings). 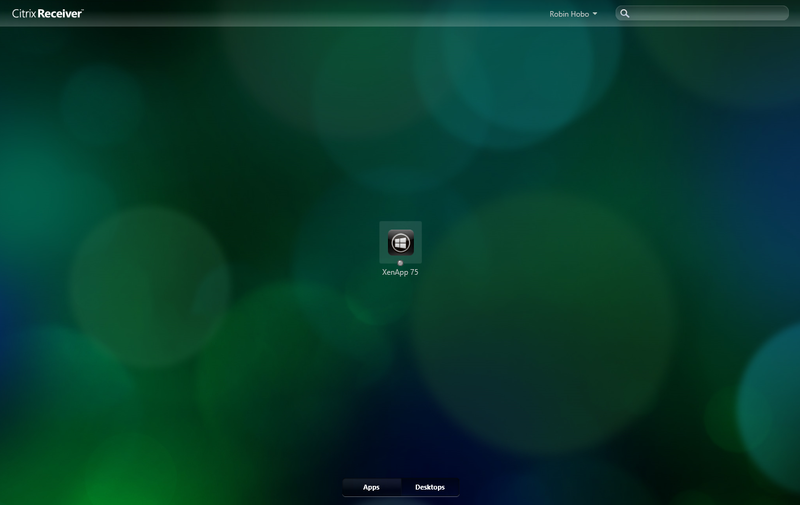 I need one more help where i can get trial version on xen 7.5. Thanks to share your Know How! 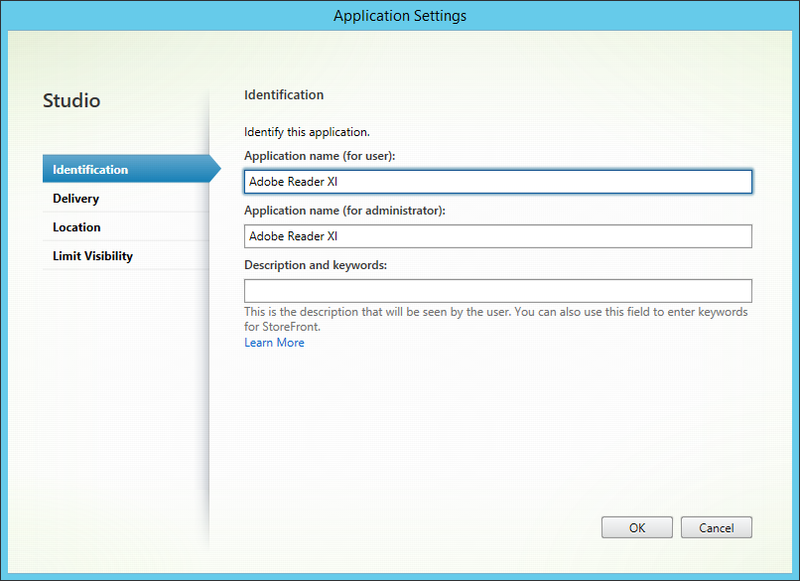 Robin, for some reason my applications aren’t showing up after logging into storefront. 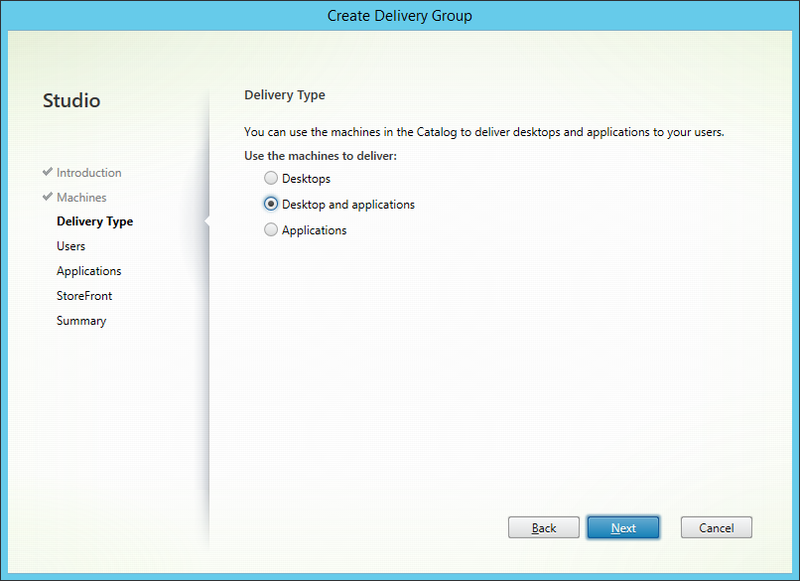 It says, “There are not desktop or applications at this time.” In my delivery group I only chose applications. Please advise…thanks in advance. 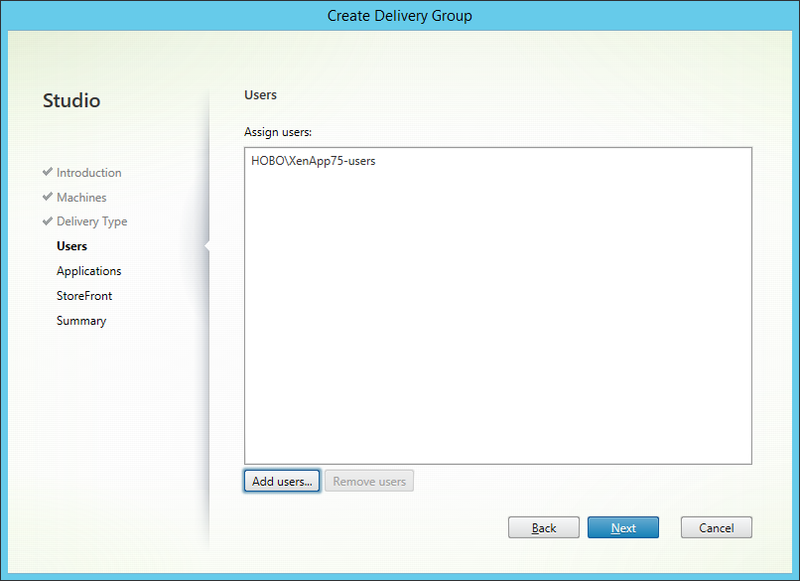 Hi Sean, Make sure you configured a security group within your assignment and that you are member of it. i added only myself in the group. 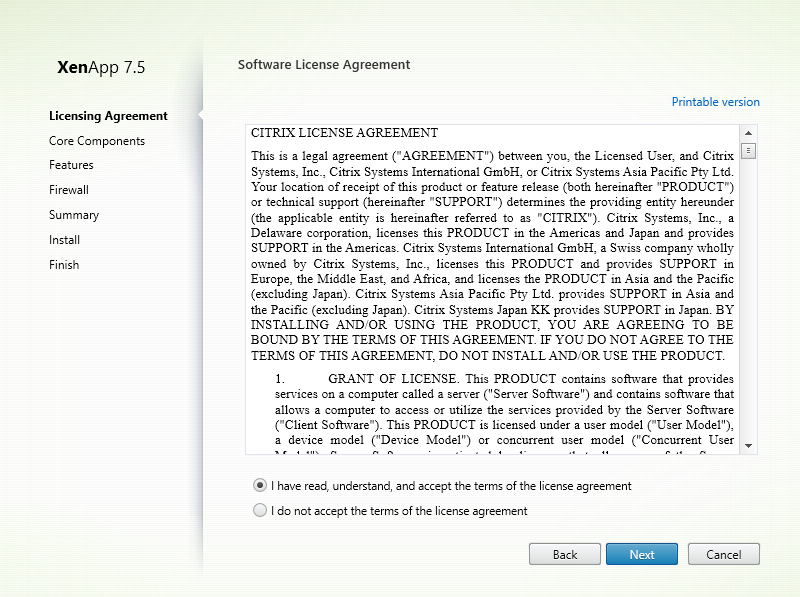 my licenses are only xendesktop and not xenapp, does that matter in terms what i’m allowed to publish? 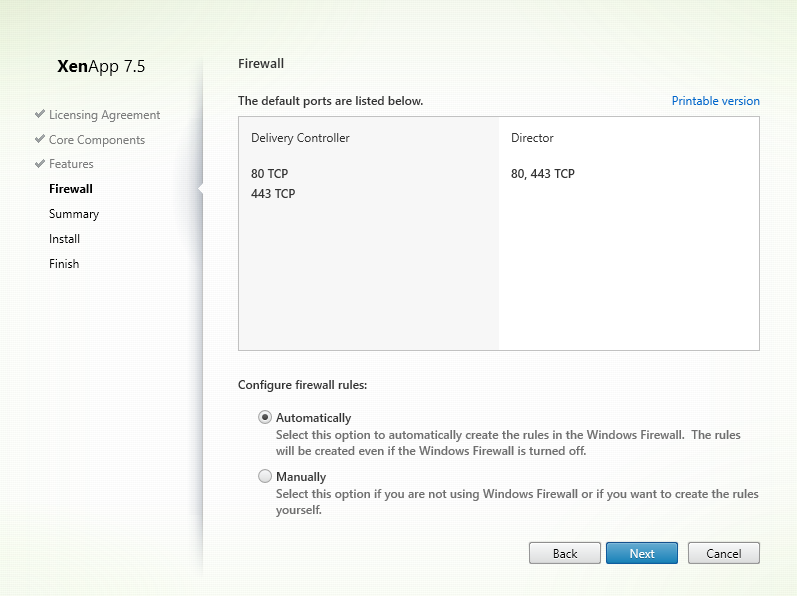 thanks, this tuto helped big time to install a POC. Excellent Post Robin ! Really Good work. Thanks Man ! Where do 2-Factor Authentication fits in? 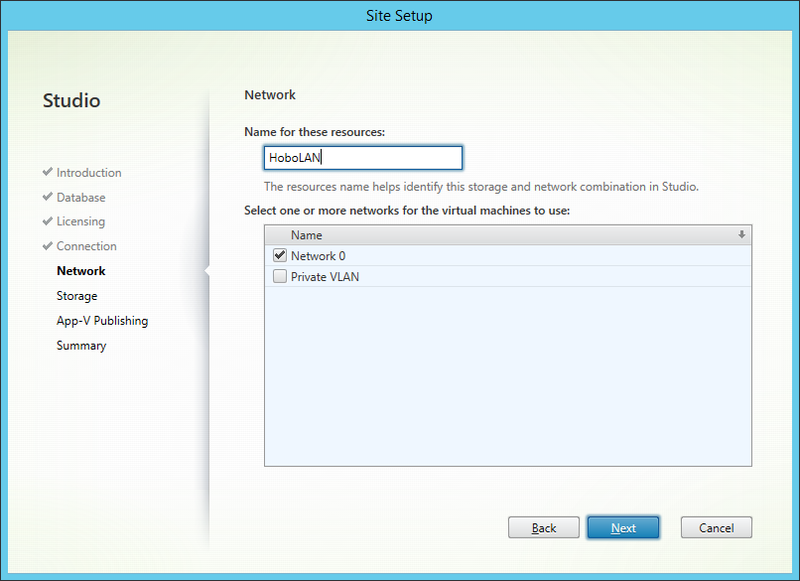 Currently, I use 6.5, Web Interface and Secure Gateway, with RSA enabled. I came to your site after entering “RSA” but there was no mention here. Though, I did find your tutorial very informative. Nice guide you put together! 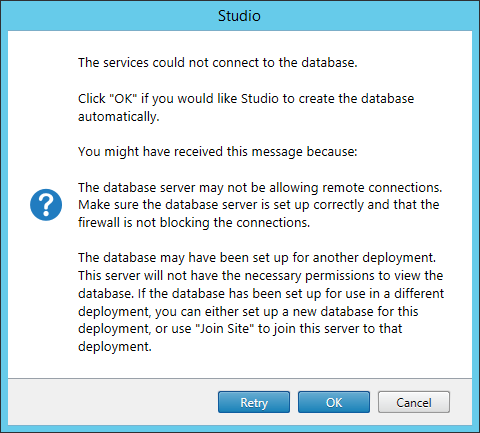 I noticed that you reused your existing Licence server, in my setup i installed the license server on a windows server 2012 r2 standard edition, but the license daemon fails to start even though the installation completes successfully. 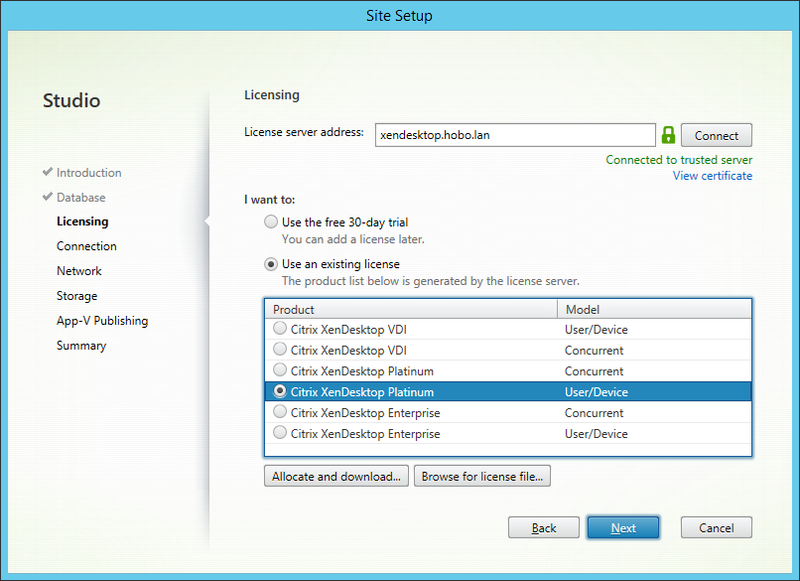 Have you tested Citrix Licensing 11.11.1 with Windows server 2012 R2 ? 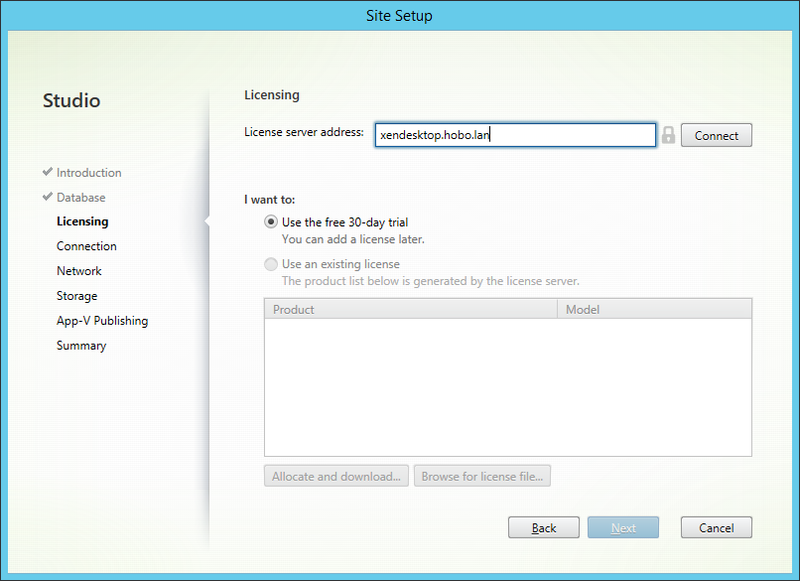 Hi Osman, yes I have mine License server running on 2012R2 without any problems. Thanks for the Information.It really helped me a lot.I like the way you explain every concept. Very Good and Excellent Documentation. Great job, really appreciated, !